External costs of different electricity generation technologies in the European Union (2012). Adapted from Ecofys (2014): Subsidies and costs of EU energy, figure 3-8 and Annex 1-3, Table A3-8, p. 109. How dangerous the different energy sources actually are? Evaluating the problems of different energy sources is always wrought with controversy, as there is not and can not be a single, universally acceptable method of evaluating the severity of what may be very different impacts. For example, how one should evaluate health effects on children compared to elderly, or health effects on humans to damages to environment? Nevertheless, some commendable attempts at comparing the dangers of energy technologies have been made. Among the more recent ones is a study commissioned by the European Union and performed by consulting company Ecofys. Known for its pro-renewable and anti-nuclear reports, Ecofys estimated the average so-called “external” costs of different electricity generation technologies in use within the EU. In this context, external costs refer to costs the energy generators do not have to pay, but instead “externalise” to the society as a whole. The Ecofys study referenced here is not without its problems, but it nevertheless remains an admirable effort at evaluating the dangers of different energy sources on a level playing field. 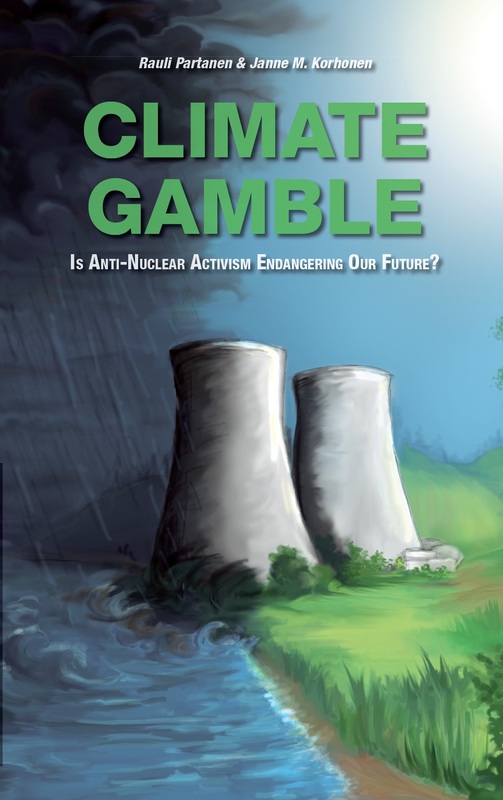 As we can see from the results, even the highest estimate for the dangers and costs of nuclear power comes below the costs of natural gas, and comfortably close to the costs of biomass use – whose radical expansion is one of the keystones of every non-nuclear energy scenario presented by traditional environmental organisations. The low estimate, on the other hand, comes well below the impacts of solar power. That’s even when the impact of nuclear accidents is factored in. If we take the Ecofys study at face value, we should probably conclude that the dangers of nuclear energy are on par with dangers associated with most forms of renewable energy. The dangers may be different, of course: renewable energy sources do not experience meltdowns, but they may emit considerable pollution during their construction or use. The end results, however, are similar: both acute and chronic illnesses to people exposed. When I first read the preliminary version of the EU report (cited above) some time ago, what struck me immediately were the rather high external costs ascribed to nuclear power. Looking further, it turned out that 74% of this external cost was for “energy depletion”, a rather dubious concept to begin with, that assumes that there is a cost to society for depleting an energy resource, and that this cost is not reflected in the price of the resource itself. Even if this idea has merit (and the law of supply and demand suggests that it does not), the way Ecofys went about computing that cost for nuclear was bizarre to say the least. They assumed that the energy depletion costs of all extracted resources were equal to that of oil, on a per-MJ basis. Since the energy density of uranium is many orders of magnitude greater than that of oil, that assumption leads to the rather ridiculous result in the EU report that the external depletion cost of uranium is €13.1/MWh, five times higher than the cost of uranium itself (€2.6/MWh according to the WNA). Even more bizarre, in employing this method, Ecofys deliberately disregarded the standard ReCiPe LCA methodology they had been using elsewhere in the report. I thereupon wrote to Europe Direct, the EU’s information agency responsible for the report, pointing out the error and requesting that it be corrected when the final report was released. My issue was assigned a case number and they replied last month. They first pointed me to the final report, which contained verbiage in which Ecofys played CYA in their computations, describing two alternate methods of computing external cost of energy depletion, one of which would have assigned much lower depletion cost to nuclear, and one of which would have assigned drastically lower depletion costs to nuclear. In other words, they pretty much admitted that they knew they were doing it wrong for nuclear, but were going to just keep doing it wrong anyway. It is probably no surprise that without the depletion “cost”, external costs of nuclear are comparable to wind and solar; but with the deliberately deceptive method in place, external costs for nuclear are about three times that of wind and solar. So it’s pretty obvious that the fix was in: they knew the result they wanted to get and they got it. So much for the intellectual rigor and integrity of Ecofys vis-a-vis nuclear power. Thanks for the comment and insight! Jani Martikainen (https://passiiviidentiteetti.wordpress.com) also looked into Ecofys numbers and found the same problem; I believe he asked Ecofys about the rationale but did not get any answer either. The method is of course rather odd, if not downright deceptive way for calculating external costs.